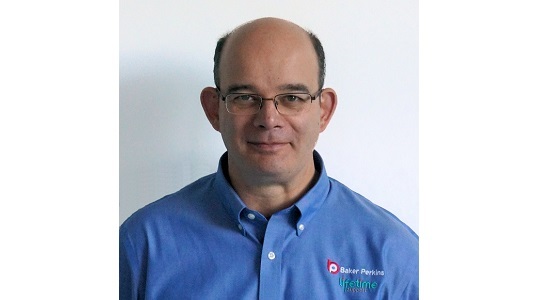 Duncan Marr has joined Baker Perkins as chief engineer, cereal and snack, responsible for technical leadership of the company’s range of equipment for snack and cereal production. Duncan brings a customer’s perspective to the role. He was previously capital projects manager with Weetabix, managing delivery of projects from single standalone units to full production lines. His earlier experience included appointments at Baker Perkins as engineering manager for extrusion. Baker Perkins’ twin-screw extruders and co-extrusion systems offer continued product innovation for extruded and co-extruded snack and cereal products. The modular Snack Master™ and Cereal Master™ concepts enable a line to be extended with additional process units to broaden the range of products that can be made. Companies can enter the market with an uncomplicated extrusion system making standard, direct expanded products, and then extend the system as business expands to make a full portfolio of high specification, added-value snacks or cereals. Snacks can include whole grain / multigrain brands; sweet or savoury filled pillows with intriguing shapes, textures and surface patterns; plus high added-value sticks, pillows, bars and bites in plain, shredded or filled forms.